Want some great casino benefits with your play? Sign up for the Winner’s Club today! 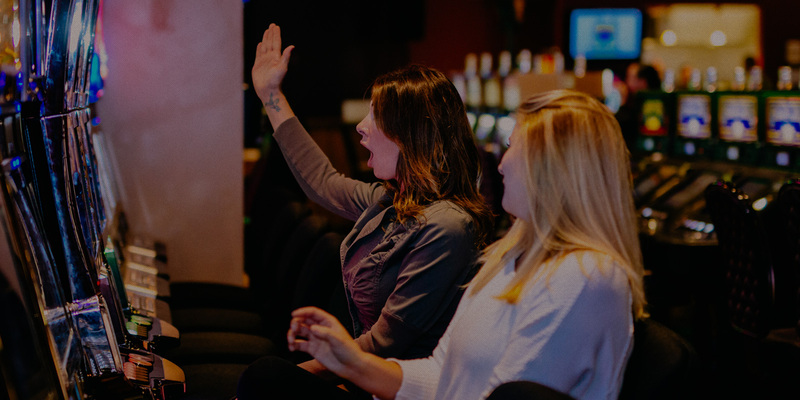 Play your favorite slot games with your Winner’s Club card and start earning points towards reward slot play, comp rewards at the River Grill or fabulous Garcia River Casino merchandise. Plus, your Club membership will keep you eligible for exciting promotions, raffles and giveaways for cash, and prizes! Membership is free. Members must be at least 21 years of age and photo I.D. is required for membership and all transactions. Members are allowed one (1) account. Membership and rewards are not transferable. Any card or reward voucher that is mutilated, forged, or altered is void. It is the responsibility of the member to properly insert Club card into the slot reader and verify its acceptance throughout the duration of play. Points may be redeemed for Free Play, food vouchers (excludes alcohol) and merchandise. Vouchers are valid for 24 hours after issuance. A minimum of 250 points is required for point redemptions. All points thereafter may be redeemed in increments of 250. Club members are responsible for notifying Garcia River Casino of any changes in name, address, email address or phone numbers. Management reserves the right to adjust point balances resulting from machine malfunctions, operator errors, or fraud. A minimum of 72 hours is required for approved point adjustments. Inactivity of six (6) months may result in expiration Points and comps. Accounts with no activity within twelve (12) consecutive months may be cancelled. Membership is a privilege granted by Garcia River Casino and may be revoked or canceled at any time. Fraudulent usage of Club card will result in loss of membership and revocation of all privileges. By becoming a member, you acknowledge your permission for Garcia River Casino to correspond with you via mail, email, text message or telephone. By participating in the Winners Club, participants agree to and accept all rules, terms and conditions.